Based on Intel®s latest Xeon® processor platform, the FWA-6510 system is designed for maximum performance, scalability and functionality in a 2U rack mount footprint. This multi-core processor-based, high-end network communications appliance is optimized for computing power and high speed, high density I/O with best-in-class energy efficiency. Two E5-2600 series Intel® Xeon® processors (Socket R) with up to 8 cores provide the latest architectural enhancements as well as unprecedented I/O integration: Two Intel® QuickPath Interconnects running at up to 8GT/s each support reduced cross-socket memory I/O latencies and increased throughput. Each socket supports 4 DDR3 channels with speeds up to 1600 MHz for up to 384 GB of ECC memory when using the latest LR DIMM technology. Advanced RAS modes such as mirroring and sparing increase platform reliability. Three I/O controllers per socket provide a total of 80 PCIe lanes supporting the latest gen 3 technology of up to 8Gbps per lane. 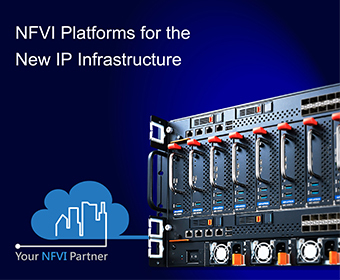 With this improved I/O connectivity, the FWA-6510 can support up to 8 Network Mezzanine Cards (NMCs) for modular, configurable networking I/O and acceleration. PCIe gen 3 technology paves the way for supporting 40GbE and quad 10GbE modules in the near future. (Please contact your Advantech representative for an overview of available and planned NMCs). The Intel® C600 Series PCH (chipset) not only integrates standard platform I/O and peripherals, but also supports an integrated SAS controller for the most reliable, highest speed mass storage. Up to four front-loadable 2.5” SAS/SATA hard disks or solid state drives are supported.